A new Meizu smartphone has been spotted on TENAA by slash leaks, which is believed to be the upcoming Meizu Note 9. Listed with model number M932Q, the smartphone appears to sport a larger 6.2-inch display compared to the Meizu Note 9, which has a 6-inch display. Although the listing doesn’t provide any other detail regarding the display, we expect it to come with FHD+ resolution and a better pixel density than the current variant. Meizu Note 9 will also feature a larger battery pack of 3,900mAh in comparison to the 3,600mAh one on the Meizu Note 8. The phone dimensions provided in the listing suggest that Meizu Note 9 will sport a more compact form factor (than Meizu Note 8) in terms of the overall length and breadth but it will be more in thickness, something that can be attributed to the increased battery capacity. According to the listing the smartphone measures 153.11 x 74.3 x 8.65 mm. Now that Meizu Note 9 has been spotted on the Chinese certification agency website, we expect it to launch very soon. The device is tipped to come with a teardrop notch and Qualcomm’s Snapdragon 675 processor coupled with 6GB of RAM and 64GB in-built storage. 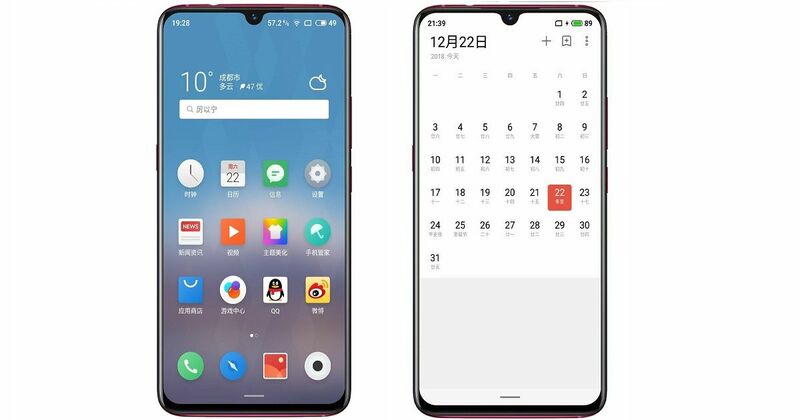 Earlier reports suggest that it will sport a 48MP primary camera and run Android 9 Pie out of the box layered with the newest version of Meizu’s Flyme OS on top.